This list is not necessarily meant to serve as a representation of the “best” films that are based on books, primarily because there are directors who consistently adapt from novels, often times taking a sub-par book and turning it into a brilliant movie (i.e. most of Hitchcock’s filmography). Rather, I wanted to take a look at some of my personal favorite books that I feel were expertly handled by each respective director. In some cases that meant drastic changes to the original story, in others it meant a more thoughtful, loyal translation from book to screen. “The book is always better” is a common complaint from eager fans after they see their most beloved story transcribed by Hollywood, but because film and literature are completely separate mediums of art, they must be appreciated that way, too. The thickly mysterious and gothic atmosphere in du Maurier’s novel is captured perfectly in Hitchcock’s film. It showcases incredible performances from Sir Laurence Oliview, Joan Fontaine, and Dame Judith Anderson that complement the narrative with suspense that (quite literally) explodes at the end. 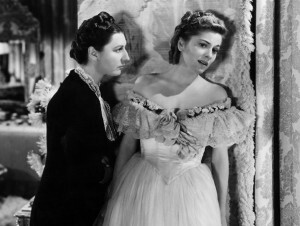 Though the original ending of the novel was altered due to the Hollywood Production Code at the time, the film is still an earnest adaptation that captures the emotionally wrought, and slightly supernatural novel. 4) Requiem For a Dream (2000) dir. by Darren Aronofsky, based on the 1978 novel by Hubert Selby Jr. Regardless of your opinions on Darren Aronofsky as a director, or this film in particular, it’s a truly impressive adaptation. The book is not an easy read, especially at first. Once you get used to the lack of quotations and paragraphs, you find yourself fully able to distinguish the characters from each other based on their particular dialect. It’s a beautiful, experimental book that makes for a very ambitious film choice. Aronosky’s stylized filmmaking in conjunction with the screenplay written by Selby Jr. himself, Requiem goes beyond just being a loyal film adaptation—it brings the book to life. This King classic was one of the first really big novels I read growing up. I must have read it in a week because of how scary and exciting it was to me at the time. After my parents showed me the movie, I was horrified. Where were the hedge animals? The wasps? The boiler room? All completely gone. I resented the movie for a while (as did King—in fact, he still does) until I saw the miniseries of the same name written by Stephen King. Sure, it was pretty much 100% faithful, but it was utter garbage. 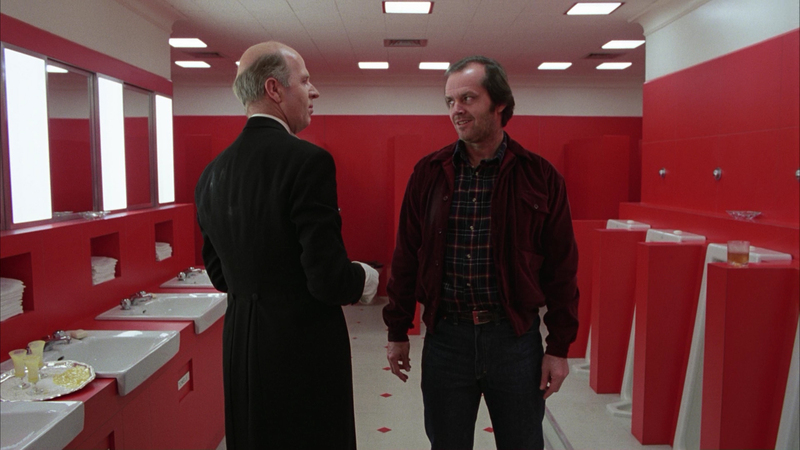 After revisiting the movie multiple times (at this point countless), I finally came to realize that The Shining is one of the greatest films of all time, and is so far superior to the book it’s almost laughable. If only my 11 year-old self could hear me now. This film is another example of completely shifting the story around, but having an amazing outcome. It’s also an instance where both forms of the story are pretty much equal in terms of how affecting they are. The performances in Cuckoo’s Nest are really what make the movie so successful, and utterly heartbreaking. It’s impossible to read the book after having seen the movie and not picture Brad Dourif as Billy Bibbit, or Louise Fletcher as the chilling Nurse Ratched. 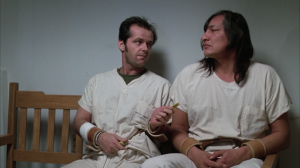 Kesey himself claims to have never seen the film in protest (for a myriad of reasons), making it a slightly controversial adaptation—but I defy you to corroborate Kesey’s disagreement on casting Jack Nicholson as Randle McMurphy. 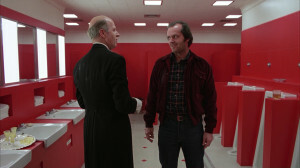 I can’t think of another movie that more successfully captures the essence of its novel counterpart. 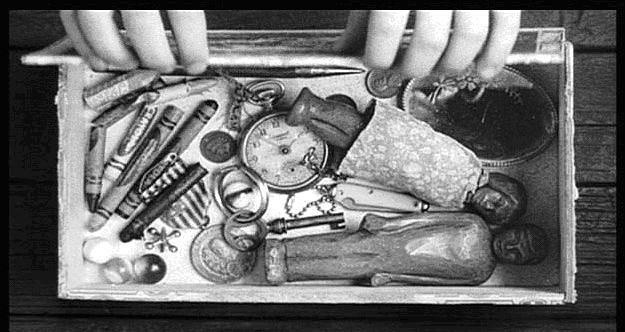 From the very opening of the film, the nostalgic tone with an eerie underscore is set. Its ability to capture both the purity of Jem and Scout’s childhood and also Atticus’s devastating trial defending Tom Robinson is exceptional. I am still unable to decide whether or not I like the movie or the book more.